Native American John Trudell explains how people today are going along with society, cut off from a spiritual, tribal past in a unified realm of Being. “Protect your spirit, because you are in the place where spirits get eaten.” It’s not surprising that zombie movies and thrillers are so popular to the modern human. The zombie has become an adequate metaphor for the modern man. We live in a time where our most esteemed institutions have no spiritual connection to reality. One solution for paving the way out of “Zombie Land” is for human beings to re-establish a spiritual connection to the Earth. 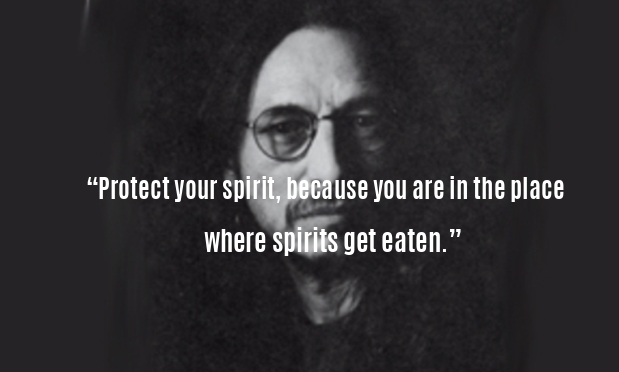 John Trudell (Santee Sioux) is an acclaimed poet, national recording artist, actor and activist whose international following reflects the universal language of his words, work and message. Ascension To 5d New Earth Or A Whole New Creation?